I must update my Will. Does this sound familiar? Youre not alone. Talking about our own death is not a nice thought and people often put off doing or reviewing their Will for another day, week or year. To ensure that what you have worked hard for during your life ends up where you want it on your death involves more than just drafting or reviewing your Will. You need to enter into what is often referred to as estate planning. will be dealt with by your Will, but not the asset itself. Remember to list assets that are jointly owned with your spouse/partner or other third parties. These could be jointly owned bank accounts, shares or property. Assets that are owned jointly with another person will, after your death, usually go to the survivor by right of survivorship and therefore cannot be dealt with in your Will. Once you have listed all of your assets you need to indicate where you wish these assets to end up on your death. You may want everything to go to your spouse or partner, or you may prefer to leave some assets to your children and/or grandchildren. Once you know what assets you have and who you want to leave them to, youll need to provide more information to enable us to advise on ownership structure and the type of Will you should have. This advice will also take into account the risk that any person (child, partner, spouse) will be able to challenge your Will, together with the likelihood of their success. Well advise you of any amendments needed to your ownership structure or Will that may avoid or lessen these risks. In order to do this successfully you will need to provide the following information. Relationships: Is there anyone who may consider that they are in, or have been, in a relationship with you? The legal concept of de facto relationship takes into account a number of factors and whilst you may not consider yourself to be in a relationship, others may think that you are. You should let us know of this possibility and well give you advice on whether you need to consider this relationship in your estate planning. Its important to note that legally you may be in more than one relationship at a time. Are you and your partner, or spouse, parties to a relationship property agreement which deals with your relationship or matrimonial property? Even if you entered into an agreement many years ago and you no longer believe, or wish, it to be a legally binding agreement, it should be reviewed and if necessary amended. Business entities: If you are involved in a partnership or own shares in a company you may need to deal with your holdings in these entities separately, particularly if you are a party to an agreement such as a buy/sell agreement, shareholders agreement or a partnership agreement. The terms of the agreement may state how any shares in the company or partnership are to be dealt with on your death, and may restrict what you can incorporate into your Will. For example, its not uncommon for such an agreement to prohibit any shares being disposed of in a persons Will; the shares must be offered to or purchased by the other owners involved in the partnership or company. Your Will may, however, deal with any proceeds from the sale of this business interest. Life insurance policies: On your death who will receive the funds from any life insurance policies you have taken out? A quick phone call to your insurance broker or insurance company can provide the answer. Its common for proceeds to be paid directly to your partner or spouse or sometimes directly to your children, and therefore the proceeds cannot be dealt with in your Will. If, however, insurance proceeds become part of your estate you may wish to stipulate who you wish to receive the proceeds. Life insurance policies can be a helpful tool in the estate planning process. In blended families, in particular, the proceeds can be used to enable you to provide for both your children, and your new spouse or partner. Its quite usual for people to amend the beneficiaries of a life insurance policy when they carry out an estate planning review. Your children: Who are your children? Again this sounds straightforward; however, its important to let us know if anyone you consider a child is in fact a step-child or a birth child who was given up for adoption. Its also important to tell us if you have children who you are not including in your Will or treating equally with their siblings, and to record the reasons for doing so. This may help prevent a successful claim being made against your estate. After providing this information, and any other material you feel may be relevant, we can check the ownership of your assets and recommend any change in their ownership structure. This could be as simple as changing ownership from joint tenants to tenants in common, having parties enter into a relationship property agreement or may include the establishment and transfer of assets to a trust. When drafting your Will its important to think about who you wish to have as your executors and trustees. These are the people you appoint to look after and then distribute your estate in accordance with your Will. If you appoint one person and this may be your spouse or partner, its quite hard to deal emotionally with this responsibility on their own. You may therefore want to appoint more than one person. Being an executor can also take up a great deal of time, and if there are two or more executors, the workload can be shared. However appointing too many executors can frustrate and slow down the administration process and add to the costs. If you have an estate with some complexities, for example, a business or extensive investments, you should consider appointing a person with some commercial knowledge and who has some background of your personal affairs. If appointing more than one trustee, do appoint parties who are able to work together. Estates may get delayed and beneficiaries frustrated when trustees cannot work in harmony. The points weve mentioned in this article are a starting point only but they do raise a number of issues to consider before you make a Will, or review your current Will. Although almost everyone says I just want a simple Will, in this day and age there are very few situations where your wishes can be met by a simple Will. The Anti-Money Laundering and Countering Financing of Terrorism Act 2009 came into force on 30 June 2013. The new regime applies to financial institutions, a term which includes not only banks but also a wide range of other financial service providers. Any business that hasnt yet looked into whether it needs to comply with the regime ought to do so as a top priority. Theres a lot that needs to be done to meet the requirements of the new regime, and it will be an area of focus for the regulators responsible for enforcing the new regime. From a customer perspective, the impact of the new regime will be most noticeable to you when you first do business with a financial institution. Theyre required to undertake extensive due diligence on new customers, which includes you having to provide proof of identification such as your passport, birth certificate or drivers licence, and also needed are documents that confirm your residential address, such as an electricity bill or rates demand. For businesses and other organisations youll need to provide information about yourselves and anyone who is acting on your behalf, such as someone having a power of attorney. A financial institution also needs to have information on anyone who owns more than 25% of your organisation, as well as details about anyone who has effective control over your organisation. Trusts come under an even greater level of scrutiny, with the biggest change being a requirement on financial institutions to obtain information on the source of funds or wealth of the trust. This will involve having to answer questions about the settlors and the origin of their wealth, and/or about the source of income that the trust is receiving. If youre an existing customer, youre not off the radar. Financial institutions are also required to do ongoing due diligence on their customers, in order to ensure that the business relationship and transactions you undertake are consistent with the institutions knowledge about you, and to identify grounds for reporting suspicious transactions. You probably think of the Property (Relationships) Act 1976 (the PRA) as legislation that will determine your relationship property after you separate from your spouse, de facto or civil union partner. You may be surprised to know, however, that it also governs what happens to your property when you die. It can also be used by you when youre starting a relationship as part of your estate planning, a possible separation and to protect your assets for your children. Many of the principles that apply to the division of your relationship property if you separate will also apply when you die. Having robust structures are important because your separate property and inheritances can very easily become relationship property or unintentionally pass to your spouse or partner. The division of assets becomes more complex where you, or you and your partner, have family trusts created either before or after the start of your relationship or marriage. On some occasions these trusts can be attacked, and in other circumstances they cannot. This may create an outcome that wasnt contemplated by you when you originally established them. The other major issue that may arise is where your relationship property and/or pre-relationship property intermingle with relationship property. An example of this could be using funds from a pre-relationship inheritance to invest in a bach for which the upkeep is paid from joint funds. If you dont have good paperwork and organisation, what you planned to remain separate for yourself or for your children may be lost to your relationship partner or your partners children rather than your own. You may also own a family home or chattels which are separate property and not held in a trust; these may become relationship property after your relationship passes the three year mark. Sorting all this logically may seem daunting; we have some practical steps to help. Have a current Will that reflects who you want to benefit from your estate. Think carefully about choosing your executors and trustees to ensure you have a balance for both the protection of your spouse or partner, and also for your children. You may want to think about naming an independent executor/trustee who has no benefit from your Will. (Theres more on Wills on pages 1-2). Draft a Memorandum, or Letter, of Wishes to go with your Will or with your family trust giving clear directions or wishes to your trustees as to what you want them to consider and what you want to be binding on them. This could range from a list of who you want your precious belongings to go to, or it could be how to decide what to allow the children to have before they are old enough to inherit outright. Contract out of the PRA: Enter into a section 21 agreement under the PRA setting out what is to happen if your marriage or relationship ends, and also what should happen when one of you dies. This will also be helpful if you have become mentally incapable and any attorney you have appointed may not have the power to do anything about it. Tenants in common: Own your house as tenants in common in shares so that if one of you dies your house is held in trust for the survivor for a number of years or for life. On your spouse or partners death, your share of the house passes to your children or family. You may also want to think about holding other investments as tenants in common in shares. A tenancy in common arrangement wont, however, give you any specific advantage in a separation situation. After the commencement of your relationship or marriage, and by agreement with your spouse or partner, to deal with specific assets. Establish a joint trust or parallel trusts with your spouse or partner: this will allow you to provide for each other when you die, but reserves future or shared benefits to your children. Establish Enduring Powers of Attorney for Property and Personal Care and Welfare in case you become mentally incapable. This will ensure you have an attorney to make decisions on your behalf and will make sure that your known wishes are carried out. Whether you are in your first or subsequent relationship or marriage, you should seriously consider these straightforward steps that will help protect your assets not only for yourself, but also for your children or family. Houdini could free himself from the seemingly inescapable, but could the same be said for your livestock? Is the grass in your neighbours paddock greener? Have you ever been driving home and come across a lost cow or sheep grazing on the side of the road? This article outlines some of the liabilities you could face when your stock escape. In rural New Zealand, wandering stock are a serious public safety risk. As well, they can cause costly damage to other peoples property. Farmers have a duty to ensure that their farms are adequately fenced to contain their livestock and theyre liable for any damage that is caused by their wandering stock. So what constitutes adequate fencing? An adequate fence means a fence that, as to its nature, condition, and state of repair, is reasonably satisfactory for the purpose that it serves or is intended to serve, states the Fencing Act 1978. The courts have held that the appropriate test as to whether a fence is an adequate fence is, what sort of fence a reasonable occupier would build given the purpose and the surrounding circumstances? For example, if sheep are put in a paddock which is only fenced for cows, this may be inadequate. If youre changing the stock in specific paddocks, you need to give your neighbour a reasonable opportunity to protect their property by giving a notice under the Fencing Act or by erecting a suitable fence for keeping stock in. There are three key pieces of legislation that relate to a farmers liability and responsibilities for wandering stock. This Act protects road users from wandering livestock, sets rules for the management of livestock pounds and the impounding of wandering and trespassing livestock, and it protects the interests of private property owners. If your livestock wander on to private land you can be liable for any damage thats caused. This includes any costs that result from your livestock being impounded that are incurred by the local council. This could include transportation to the pound, advertising, impounding fees, animal control officers time and mileage, grazing costs and any vet bills. As well, if your livestock wander on to private land, the land owner can charge you trespass and sustenance fees. The trespass rates differ according to the type of livestock and the type of feed that the livestock trespass on to. For example, a pig on crop is at the rate of $10/day and one sheep on grass is at the rate of $0.50/day. If the owner of the land onto which your livestock have wandered isnt happy with the official trespass rates, they can claim for the actual loss, rather than the trespass rates. The actual loss, however, wont be payable if you can prove that your land was adequately fenced. This legislation covers the law relating to liability for damage caused by animals. In essence it states that those who are in charge of livestock have a duty to others to take reasonable care to see that damage is not caused by stock straying onto roads. Reasonable care is to be assessed by what is the common practice in your area. This includes fencing and other measures you should take to prevent your animals from straying, and also any warning measures that you might have been taken in a particular case. The Act allows for compensation to be claimed for any damage caused by wandering livestock. If your livestock wander on to public roads, you can also be criminally liable if you havent taken adequate steps to secure your livestock. Potential criminal charges include criminal nuisance (maximum penalty one years imprisonment), breach of duty of a person in charge of dangerous things (maximum penalty is life imprisonment) or endangering safety (maximum penalty three months imprisonment or a $2,000 fine). To avoid the potential costs and liability of your livestock jumping or escaping the fence to greener pastures, its important (as well as financially prudent) that you take all precautions to ensure that your boundary fences and gates are in good repair. This may also help prevent some friction between you and your neighbours! If your stock are persistent escapees, it would also pay to check that you have good public liability insurance cover in place. Guarantees are a common form of credit enhancement, particularly in these post-global-financial-crisis times. Banks and other financial lenders regularly require personal guarantees before entering into a transaction, for example, if theyre providing a loan. What if you are asked to provide a guarantee? What do you need to know and what are the risks?  A guarantee is a contract to perform the promise of, or to discharge the liability or obligation of, a third person. In other words, the person providing the guarantee (the guarantor) is promising to pay a debt if the third person (the debtor) does not. If the debtor defaults, the guarantor is responsible for repaying the debt to the creditor. The most common scenario is a lender, usually the bank, requiring mum and dad to guarantee the borrowings of an adult child. The child (and this could also include his or her partner) may want to borrow money to buy a house or start up a business. Before the money is lent, the lender ensures the parents sign a guarantee along with possibly authorising a mortgage in favour of the bank as security. Other possible situations include company directors personally guaranteeing company debt and, likewise, trustees with trust debt. Often, particularly in the parent-child scenario, guarantees will be entered into without much thought as to the risk. There are cases of guarantors losing huge sums of money, and even their homes. So entering into a guarantee is not a decision to be taken lightly. These are legally binding documents that are enforceable through the courts. This is why you should get independent legal advice before signing any guarantee document. Its important you understand the wording of the guarantee itself. How much are you guaranteeing? Is it a fixed sum or a continuing liability as to whatever may be owing? Be careful with the latter. Why is the debtor borrowing the money? What is it for? Can they comply with any repayment requirements? Ideally you will have a good working knowledge of the debtors financial position and the rationale behind the transaction. You also need to understand the practical consequences of the guarantee because if the debtor cant pay the debt the responsibility will pass to you. Do you have the funds to settle the debt if required? Will that mean selling your home or even being forced into bankruptcy? You must ask yourself whether you have any doubts about the debtors ability to service and repay the debt. If you do, common sense would suggest you dont provide the guarantee. In short, be wary about entering into guarantees, particularly for large sums of money, as the consequences of your liability being called upon can be significant. If youre giving a guarantee, make sure you have all relevant information about the debtor and the debt itself, not only initially but also on a continuing basis. Ensure you have carefully weighed the potential risks involved against the benefit to be gained by a debtor (usually from having access to a loan) before ultimately deciding whether you go guarantor. For parents who have a son or daughter who has an intellectual impairment, there are some very real worries about what may happen to those children when the parents die or become unable to look after them. The Personal Advocacy Trust (PAT) can help in two important ways: it can provide an advocate for the person after the final parent dies, and it will help administer or act as trustee in a discretionary trust set up for that childs benefit. Established in 1967 by parents of people with intellectual disabilities, the PATs mission is to ensure that its members live as full a life as possible through the advocacy and support PAT provides. A recent case has highlighted the perils of checking your mobile phone whilst youre driving. In this case a Wellington man was issued with an infringement notice for using his mobile phone. Although Mr Tan wasnt actually making a call, he was holding his phone to look at an address; this, in itself, was sufficient for the police to issue the infringement notice. Despite an appeal to the High Court, it was dismissed by Justice Goddard. The moral of the story is that you shouldnt even touch your phone whilst youre driving your car. A snow day means a paid day off right? Not necessarily. Theres a difference between being unable to get to work because of snow or inclement weather, or simply not wanting to venture out into the cold away from the comfort and warmth of home. A Snow Policy usually contains provisions for situations where the roads and schools are closed by the authorities and its almost impossible for everyone to get to work. Your policy can clarify options for making up time or working from home. Generally speaking, if your employees are willing to work but are unable to get into work, its reasonable for them to be paid for that day or part day. On the other hand, if your employees choose to stay at home, its not unreasonable for them to have to take an annual leave day or leave without pay. If you decide to close your business for the day, but your employees are willing and able to work, then you should be prepared to pay your people for the day. Casual employees may not be so fortunate unless there are special provisions in their employment agreements. For businesses in colder parts of the country it makes good business sense to have a Snow Policy. Make sure its communicated to all your staff at the beginning of each winter and also before a forecasted big snow dump.